Banana cream pie dip is a delicious dip for a crowd! 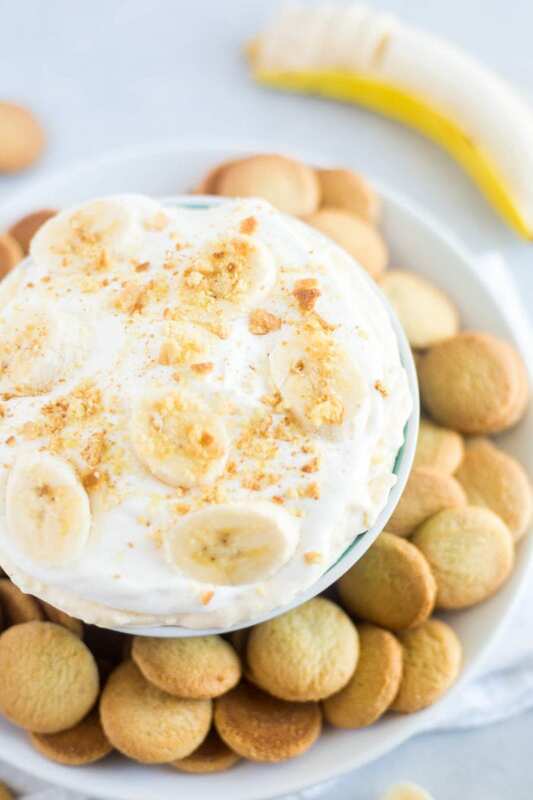 With just 5 easy ingredients, this dessert dip is super easy and tastes just like you’re eating banana cream pie. I love all things banana! Especially in desserts. 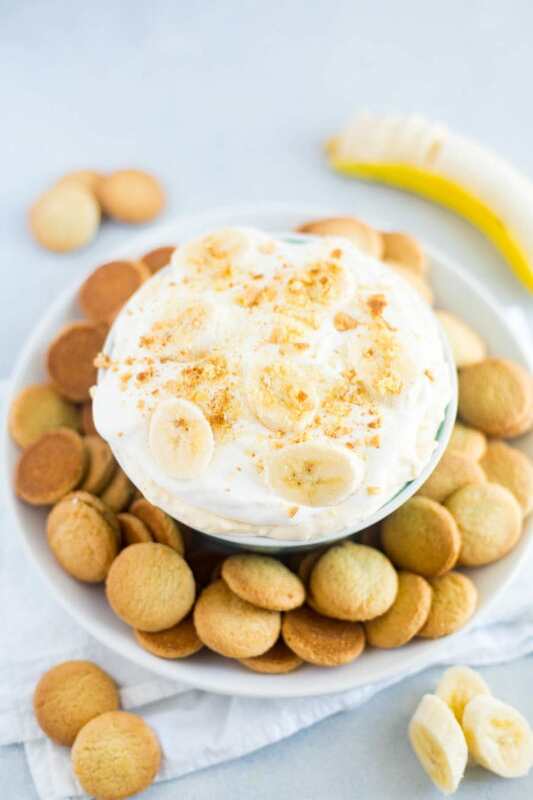 Banana is a great sweetener for desserts like healthy banana cake, banana pudding cheesecake and this banana cream pie dip! 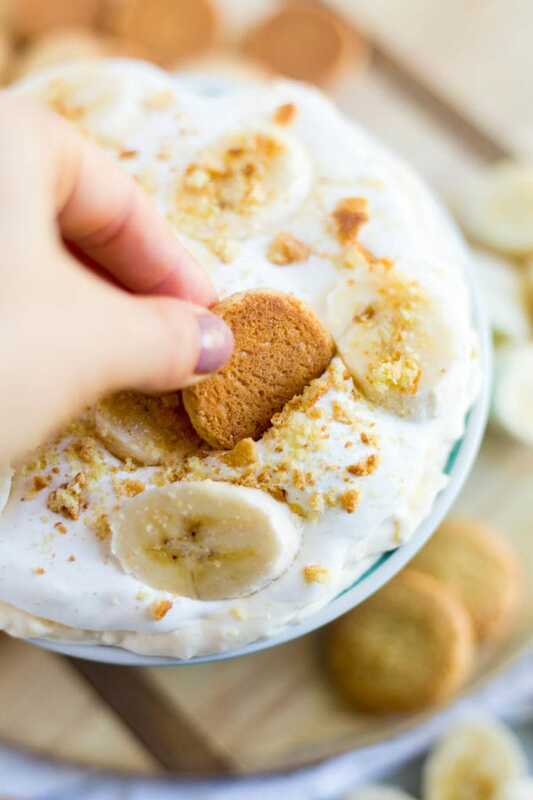 The base of this banana cream pie dip is banana cream pudding. Make sure to use the instant pudding in the baking aisle. You can find the instant pudding right next to the jello-o in the baking aisle. Once you have your pudding you’ll mix it with 2 cups of milk. I like to use whole milk for this but you can use any milk you want. The only milk you should avoid is soy milk because it won’t mix well and get nice and thick. Pro tip: make sure the milk you’re using to mix with the pudding is extra cold. It helps the pudding get thick and creamy really fast. 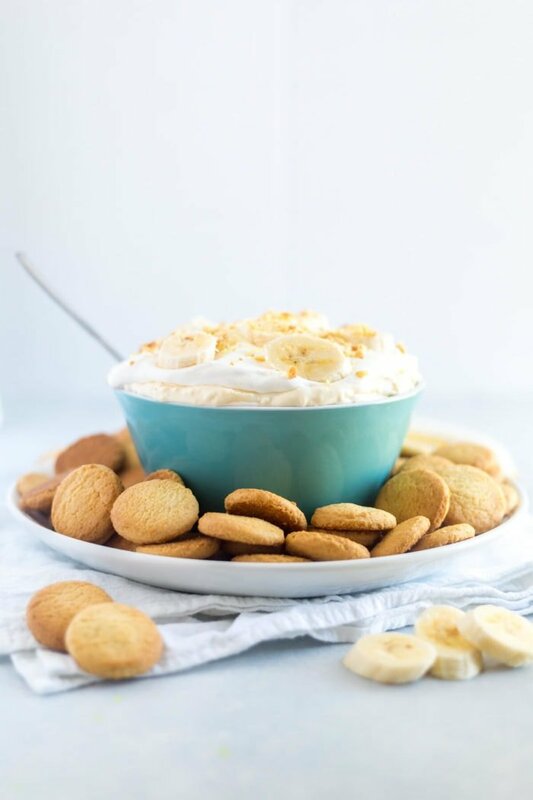 I’m a huge lover of vanilla wafers or graham crackers with traditional banana cream pie so those are definitely the best options to dunk and dip into this banana cream pie dip! 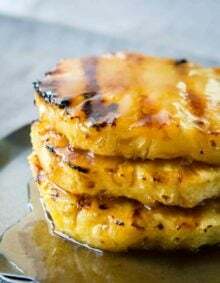 You could grab a box or two of graham crackers or vanilla wafers (or even Teddy Grahams) and pair them with a fruit like strawberries or apples! When you’re making this recipe just be sure to follow the directions by mixing the pudding and beating the cream cheese separately! You’ll want to make sure the cream cheese is smooth and creamy before you incorporate it with the pudding or it will be lumpy. Once you have the pudding and cream cheese together, fold in the whipped cream. 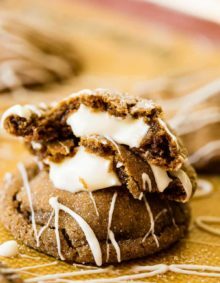 Don’t beat the whipped cream or it will lose it’s fluffy consistency! This is what makes the banana cream pie dip smooth and light and fluffy! 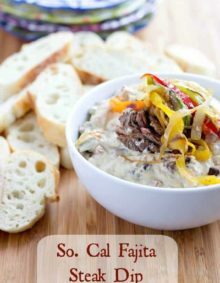 Banana cream pie dip is a delicious dip for a crowd! 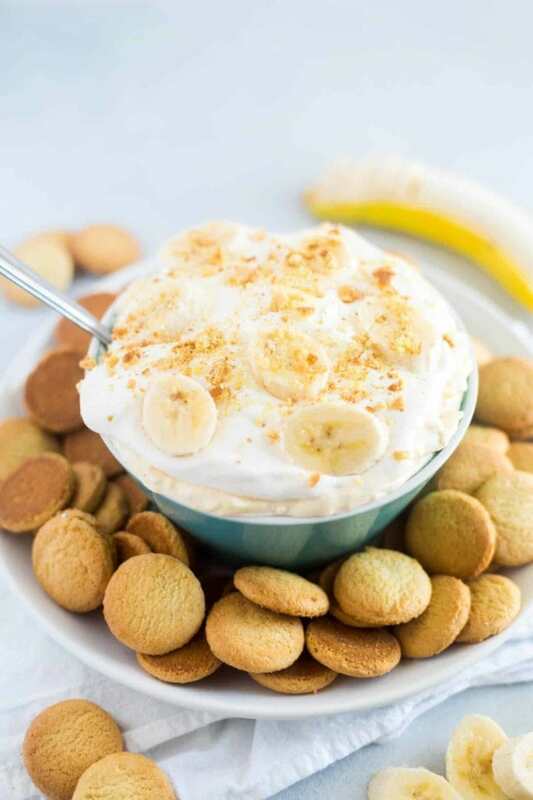 With just 5 easy ingredients, this dessert dip is super easy and tastes just like you're eating banana cream pie. In a separate medium bowl, beat the cream cheese, vanilla, and salt until smooth. Add the cream cheese to the pudding and beat for another 1-2 minutes until combined. 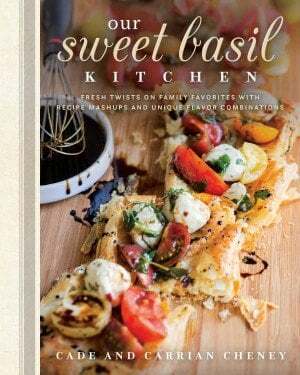 Serve with vanilla wafers, teddy grahams, graham crackers or fruit. This banana cake recipe will be your new favorite! It’s made with no refined sugar, or butter but has so much sweet banana flavor. It comes together so easily and is topped with a healthy and vegan whipped cream frosting. No one will believe how good for you it it! Everyone loves cheesecake but most don’t feel comfortable making it at home. 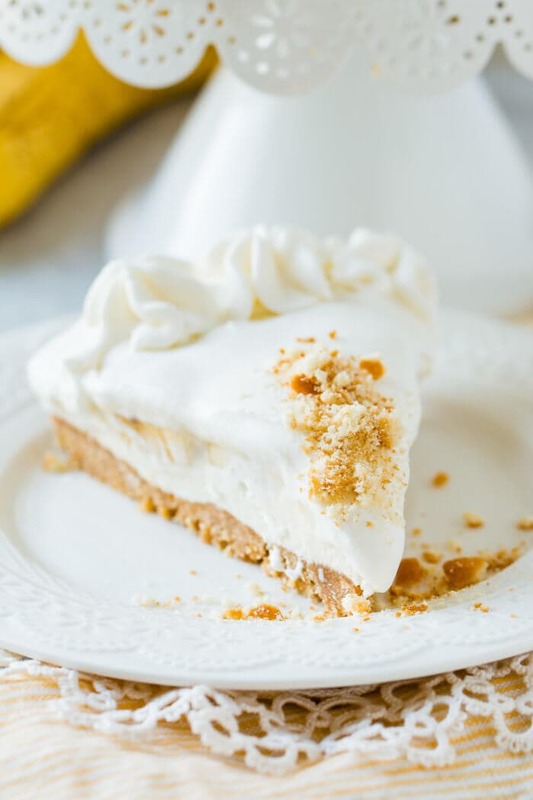 Try this no bake banana pudding cheesecake and have it ready in half the time! I'm Molly! I'm convinced love is the answer, that you can enjoy veggies & butter equally, & dessert (usually a cookie) can change the trajectory of someone's day. I love health/fitness, pool days and if I could be any emoji it would be this ?. 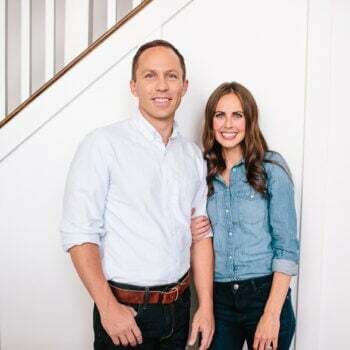 My goal for WMM is to feed hungry bellies with delicious (mostly) healthy desserts and feed hungry hearts with grace and love. Thanks for joining me!